Well look-a here at my favorite guy and his girl, Kanye West and Amber Rose showed up at the Louis Vuitton fashion show in floor length fur coats. This is hood fab at it’s finest! However, I cannot front on Amber’s white tunic dress and baby blue suede shoes. 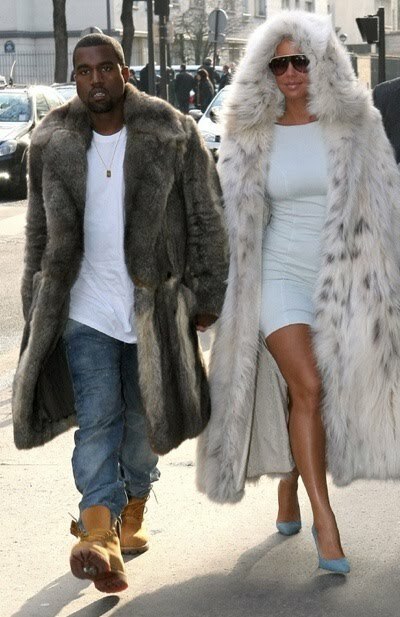 Everyone loves to talk about Kanye, but he has style for days and a bravado to pull it off – good deal Kanye.